Thank you for sending all of your amazing campers to Camp Lakewood this week! We thoroughly enjoyed each and every one of them! See you next year! 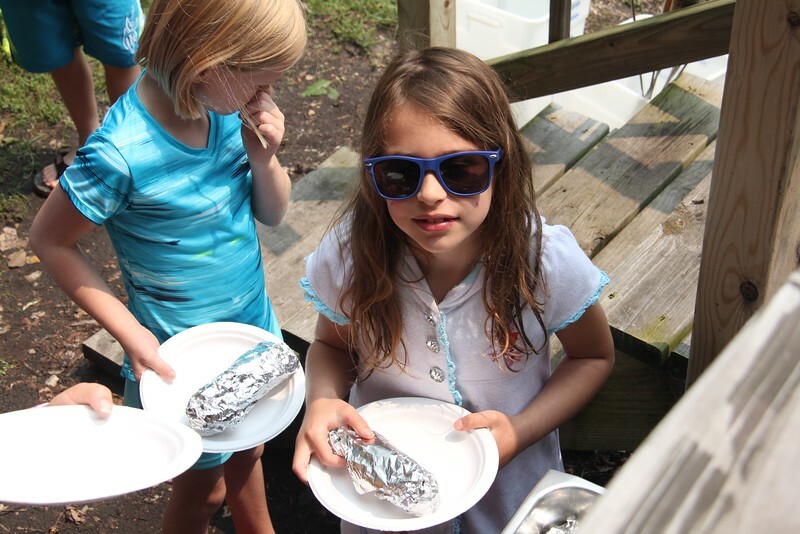 The campers were able to enjoy a tasty lunch of hot dogs, potato chips, baked beans, celery, carrots, oranges, grapes and s'mores for dessert! It was quite the feast! Check out the awesome camp prayer that all of Camp Lakewood sang before our cookout! ###Scripture Focus Today, the campers focused on the topic of "Godly Me", by reading the story of David delivering the ark of the covenant to the people of Israel. Follow along by reading [2 Samuel 6:1-19](https://www.bible.com/bible/114/2sa.6.1-19.nkjv). After singing a few camp songs, the campers were met with a tasty Tuesday breakfast, consisting of cheesy hash browns, scrambled eggs, and bacon! Quite the way to start out the final day of camp! After playing the song "Pass it On", and singing the song "Jesus Loves Me", Director Josh talked about a variety of Christian topics in his message to the campers. He told the story of the shepherd who lost one of his 100 sheep, and didn't give up until he located "Sheepy". God acts the same way with each and every one of us. Jesus is the shepherd, who continues to look for every single child of God! 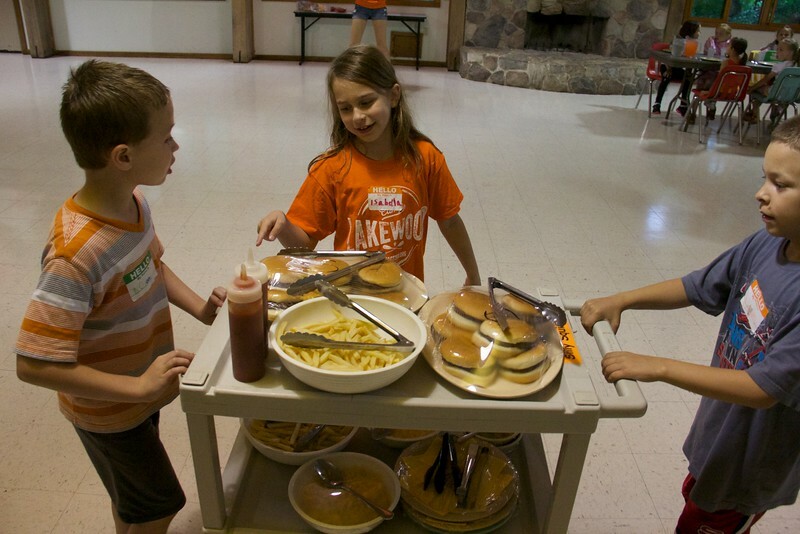 Campers happily enjoyed a great feast before their last night in the cabins. The menu consisted of lasagna, breadsticks, green beans, and a special surprise for dinner! Check out the video below to hear how the crowd reacted to the announcement! ###Instant Video! These ladies started a classic game of Little Sally Walker after they had finished climbing the boulder wall! ###Lunch Today at lunch, the boys from Silly Squirrel B were kind enough to help prepare the dining hall for everyone, and their contribution to the meal didn't go unnoticed! Lunch consisted of corn dogs, tater tots, California blend vegetables, and pears. Today at Hoopla, everyone was able to play some very fun get-to-know-me games! Fishy-Fishy, and the circle game were both big hits with the kiddos! This morning during discovery time, the campers learned about Godly victory, as they listened intently to the story of David defeating Goliath! That story can be found in 1 Samuel 17. 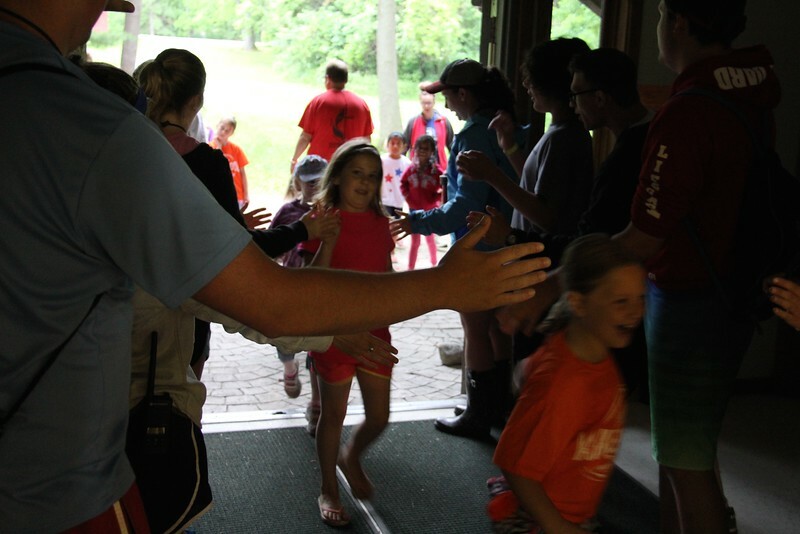 After singing camp songs and saying their pre-meal prayer, campers ran through the tunnel of high fives, and were met with a tasty breakfast of pancakes, sausage, and potatoes! Although the rain has put a damper on tonight's worship activities, the spirits remain high here at Camp Lakewood! Tonight, campers will be worshipping in their cabins, with devotions that focus on Godly Plans. They will be reading from 1 Samuel 16:1-13. Then, they will call it a night. Check back tomorrow for more updates on your little ones! 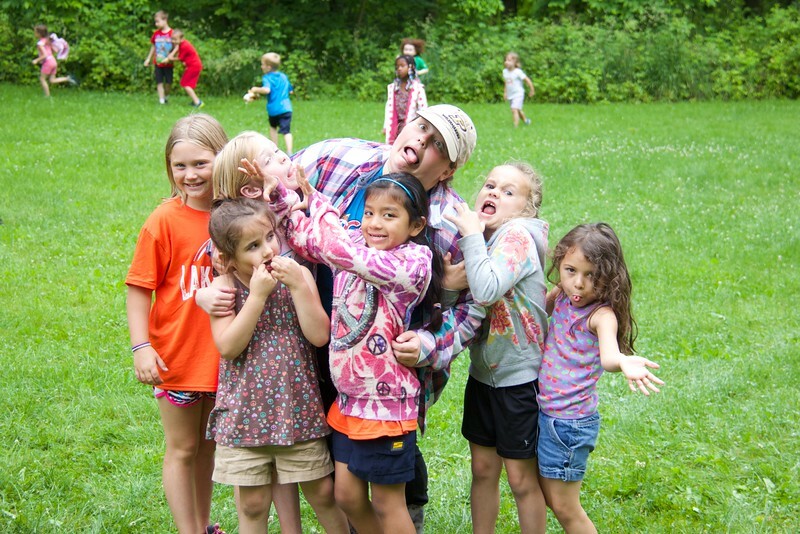 After enjoying their dinner, campers went to Pine Meadow to play one of Lakewood's best games! Here is some footage of Organized Mass Chaos! Whether it was running around the circle singing "Jesus Loves Me! ", or giving shaving cream high-fives, there was only one rule...NO saying No! The entire camp erupted with cheers when Director Christy announced that the menu for the night would feature hamburgers, french fries, corn, and pudding! At the conclusion of the meal, many plates were empty, and all the campers were smiling!